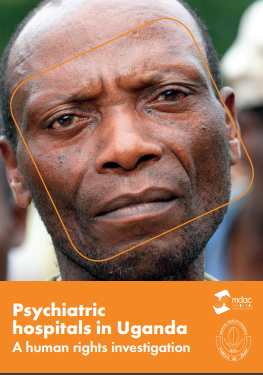 In conjunction with our Ugandan partners and lawyer Simon Peter Odongoi, MDAC has released a follow-up study on "Access to Courts and Reasonable Accommodations for People with Mental Disabilities in Uganda". To read the report, and proposed guidelines on reforming Uganda's Rules of Courts, click here. MDAC met with partners in Uganda to discuss on-going litigation and advocacy efforts in the country. MDAC also interviewed seven people with mental health issues - all of whom called on the Ugandan Government to "end the abuse". The interviews were incorporated in to a 5-minute video (see above) which MDAC produced. It was shown to the UN Committee on the Rights of Persons with Disabilities in Geneva - who recently published their conclusions on Uganda's disability rights record. Their conclusions broadly reflect a report MDAC and Mental Health Uganda sent to this Committee ahead of their review of Uganda. 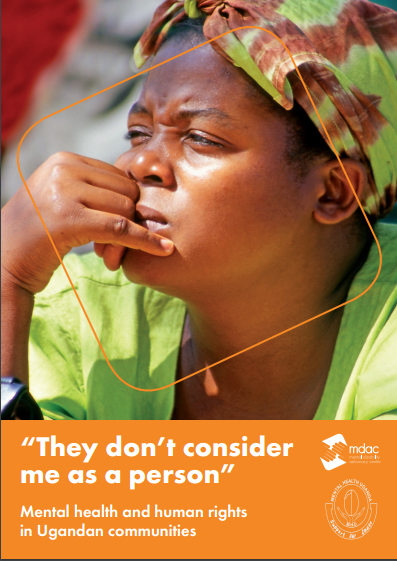 Under this campaign, MDAC seeks an end to systems of guardianship, both formal and informal, and advocates for people with mental disabilities to receive the support they need to make decisions about their lives. Finding: national law allows for stripping of decision-making rights solely on the basis of an individual having an intellectual and/or psychosocial disability. De facto guardianship still exists. Recommendation: eliminate all forms of substituted decision making—whether formal or informal— and replace these with regimes of supported decision-making. Finding: people with mental disabilities are marginalised, excluded from the community by being put in institutions. Recommendation: along with committing to the process to deinstitutionalisation, develop community-based services giving individuals access to health and employment, and personal assistance in order to live an independent life in the community. Under this campaign, MDAC calls for inclusive education for all children, regardless of their disabilities, and an end to segregation and the denial of education to children with mental disabilities. Finding: the government promotes segregated education over inclusive education for children with disabilities. There is a distinct lack of adequately trained teachers to forward the cause of inclusive education. Recommendation: create a time frame for the transition of inclusive education to inclusive education, making sure budgets, and the necessary services are allocated to facilitate this process. Undertake a rigorous review of the curriculum, and provide training to teachers and relevant educational professionals on inclusive education.